Be the envy of your snus community with this designer stainless steel box for loose snus (or a lot of portion snus, I suppose)! 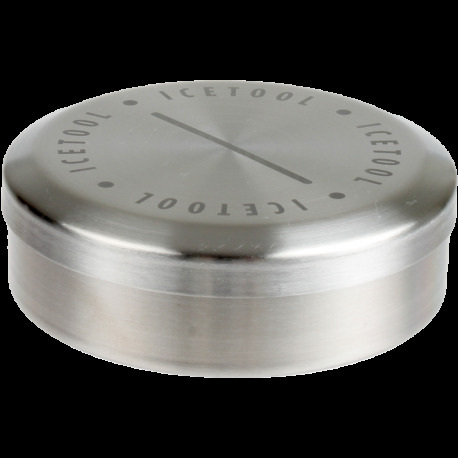 Match it up with an Icetool and watch the crowd swoon as you casually place them on the bar next to your drink. There is a snus legend that Lars Unz, one of Moe Unz's ancestors, won a pistol dual when his opponent's bullet lodged in the snus-filled metal Snus Box in his shirt pocket. Lars is then said to have pulled some snus out of the now-damaged Snus Box, stuck it under his lip.....and then shot his stunned opponent in the head. If you use Los SNUS away from home then this is the can for you. I'm an aircraft mechanic and I keep this can in my pocket all day long without one spill. The stainless steel design keeps form unlike the cardboard/plastic cans which usually end up crushed after one day at work. Glad I bought this product.